Hiii ....!!! Good day all. Hope everyone is fine, i'm back with a general post this time. This post is developed based on a request from a process engineer from Ireland. Don't want to publish his name over here. The query is "How to understand a TLC analysis ? What is the principle behind TLC ? How accurate is the TLC method ?" Would like to complete the post shortly. TLC - Thin Layer Chromatography. 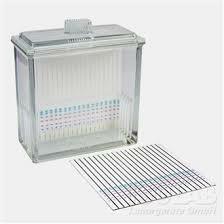 TLC is the most basic chromatographic technique and is usually practiced by process engineers and some time production team to know the impurity profile. Coming to my case, i've practiced many time and based on the experience, i'm posting this. TLC is a qualitative analytical method and can't be used for quantification. 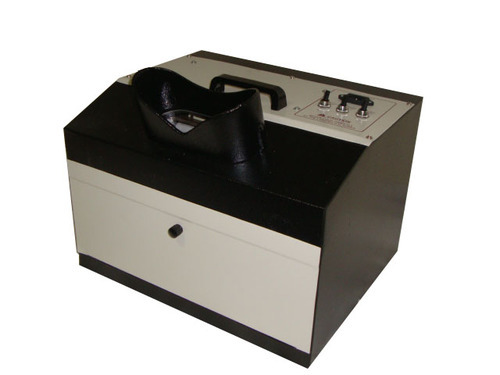 Based on the experience of the test sample and TLC method, some persons might quantify the impurity profile with slight variations from the exact value. [How to] Scale-up w.r.t. process equipment's ? 1. Basic principle involved in this method is separation based on the capillary action of the compounds over the TLC plate. 2. It depends on the relative affinity of the related compounds(sometimes impurities) with the mobile phase and the stationary phase(TLC plate). Based on the affinity of the compounds over the stationary phase, the subject were eluted as spots on the TLC plate. Here i can't mention any procedure, as it will be different from analysis to analysis depending on the sample preparation and elution pattern. 1. TLC Plate / Stationary phase preparation: First of all a TLC plate shall be cut off from the available mother sheet with uniform edges, there shouldn't be any rough edges and the edges shall be parallel. Then a straight line shall be marked on the plate for our reference in parallel to the edges of the sheet. 2. Mobile Phase preparation: Based on the method ratio's the mobile phase shall be prepared. 3. Test Solution, Standard solution Preparation: There will be specific procedure to prepare test(sample), standard solution preparations mentioned in the Method of analysis. Based on the pre-defined procedures, the working standard/impurity standard and the test sample shall be weighed and diluted with a relevant solvent in mentioned composition. 4. Sample spotting on the Stationary phase: Depending upon the limit of the impurity, injection volume shall be calculated and injected on the reference line drawn on the TLC plate at spots with approx. uniform distances as shown below. If the sample is injected quickly, then the eluted spots may over lay on each other leading to improper results. Hence care shall be taken during injecting the solutions. 6. Positioning the TLC plate(Stationary phase) inside TLC chamber: This is quite important step and proper handling is preferred. 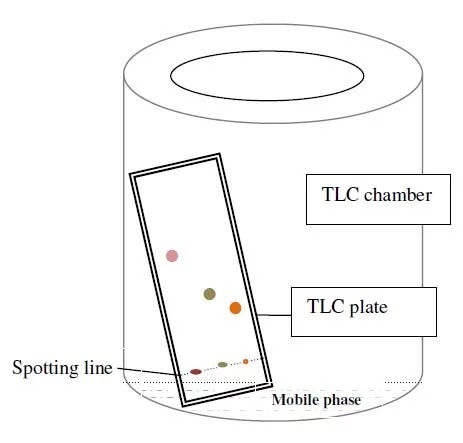 mobile phase shall be transferred into the TLC chamber. The stationary phase after injection shall be placed inside the TLC chamber and one more precaution is the reference line that we draw before injection shall be slightly higher than the mobile phase level. if its immersed then there is probability for abnormal results, and sometimes zero results. 7. 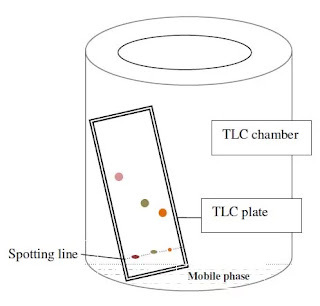 Development / Elution of spots : After positioning of the plate inside the mobile phase in TLC chamber, open end of the chamber shall be closed and shall be maintained for some time till complete elution happens and the sheet to be dried with air dryer to knock out the solvent presence. 8. Impurity parameter evaluation: Upon elution, the TLC plate shall be dried with air dryer and placed in a UV cabinet and based on the defined wavelength the spots shall be observed, Mostly the plate shall be kept in 254 nanometer wavelength(short) and then the spots shall be identified. From the above plate you can observe a spot against to that of the standard spot and more spots against the test and co-spots. The standard spot indicates the impurity that need to be checked, and against to that in the test spot there is a spot at relevant height, that is the actual content of the subject impurity at that position. How pressure varies based on location height ? and when the two spots were compared, the standard spot is more darker/thicker than that of the spot in the test sample. From that we can say the particular impurity is somewhat low in the test sample. If the standard is prepared with 5% solution, then we can say that the test sample is having less than 5%. But based on the experience, we can quantify the parameter with slight variations. Now you may get a doubt that what are the other spots in the test sample, and the answer is the standard is a pure compound solution but the test sample may contain some excess impurities along with the one desired we are checking. Lets say the cement spot in the test sample is product spot, then the above spots to the product spot can be referred as non-polar impurities and below the product spots are polar-impurities sometimes. And in the half of the discussion, you might got a doubt that what is use of co-spot, that additional spot is attributed by standard and test solution in 50-50% composition, the co-spots gives us an idea about the variation in impurities and sometimes it is helpful to confirm whether a spot is actually from standard solution or not during abnormal mappings. Hope the above description is understandable to all......!!! If any queries, feel free to comment or message me......!! !